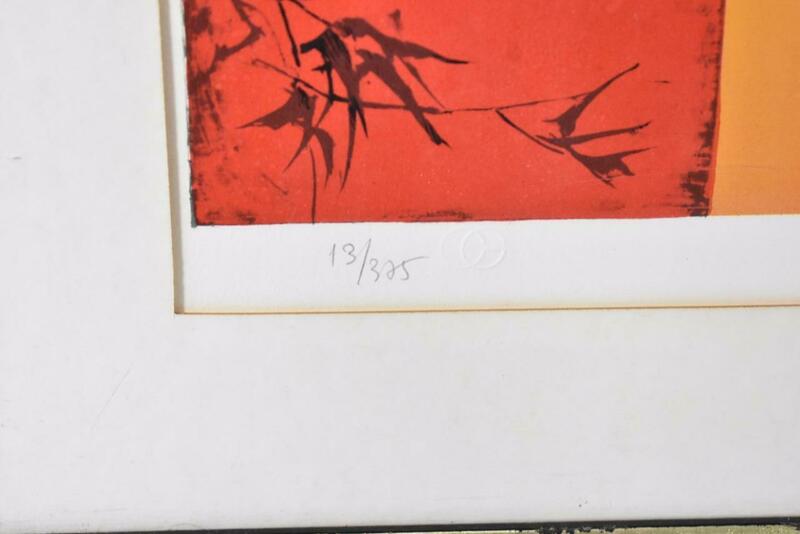 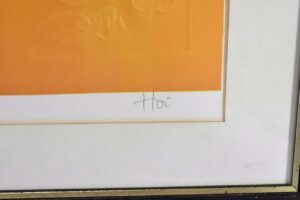 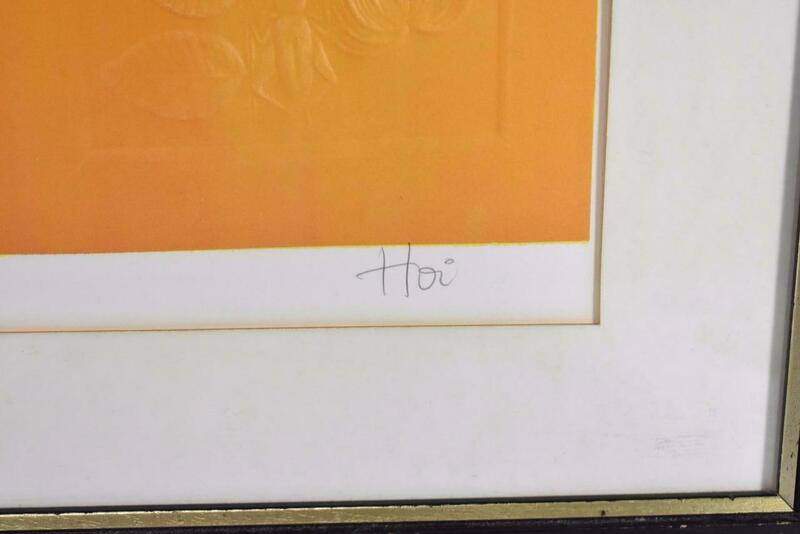 A very nice limited edition signed & numbered print by Hoi, 13/325. 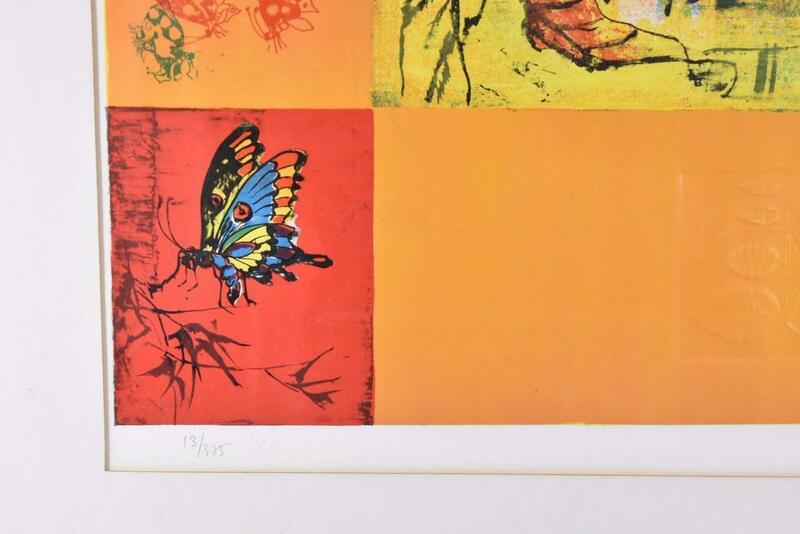 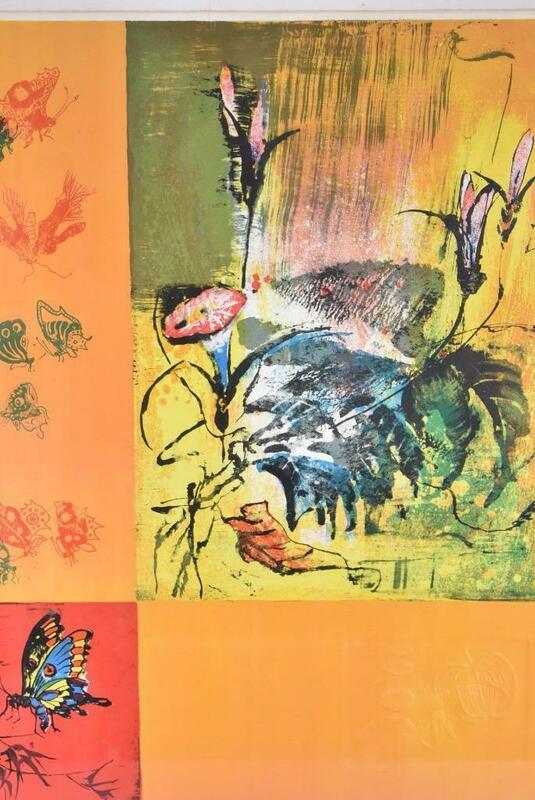 This lovely print features vivid shades or red, orange, yellow, blue and green with butterflies and a grasshopper. 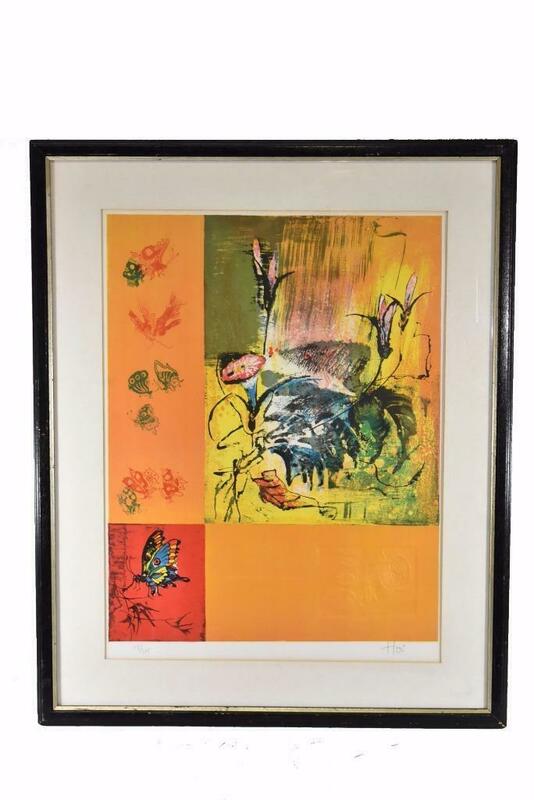 Very good condition with light wear to the frame and the plexiglass has a couple of scratches. 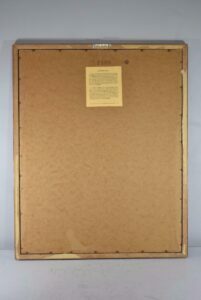 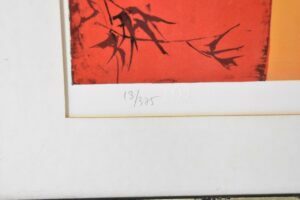 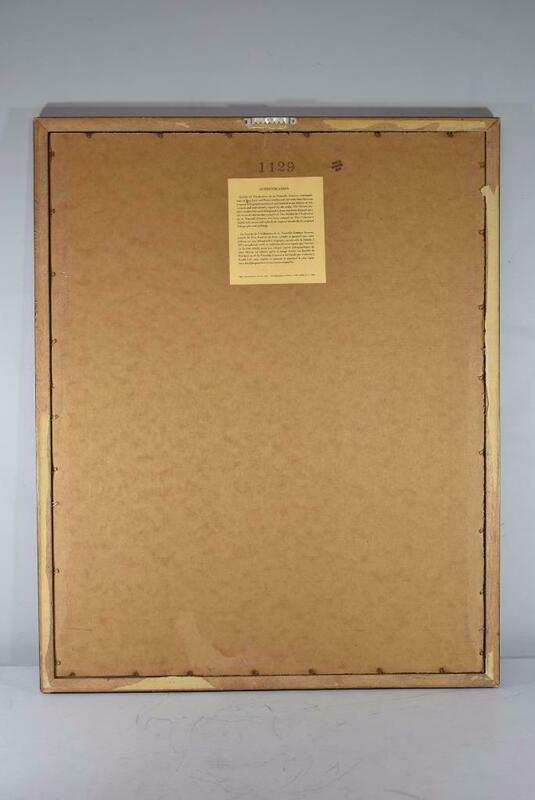 The dimensions are 23″ x 28″ with the frame and the image is 16.5″ x 22″. 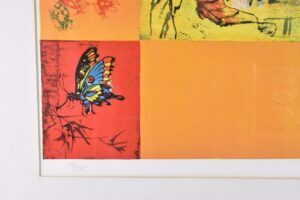 Please give us a call at (419) 473-3373 with any questions. LIMITED EDITION LITHOGRAPH BY JACK LEVINE TITLED " HOMMAGE A WATTEAU "
Thomas Kinkade Signed and Numbered Litho Print, "Cobblestone Village"